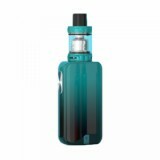 The Luxe Nano Touch Screen mod and the SKRR-S Mini Tank consist the Vaporesso Luxe Nano kit. The Luxe Nano Touch Screen mod and the SKRR-S Mini Tank consist the Vaporesso Luxe Nano kit. This is the only kit that you must have. Why? Have you tried 0.01s insta-fire e-cig? Have you tried super player mode, which has a 0.03ohm to 5ohm, the most broad resistance range and this will make the Luxe Nano can work with all mainstream tanks. How convenient is that! But that's not all, the cool breathtaking display will open up your view with this sleek edge-to-edge 1.3-inch display which fits comfortably in the palm of your hand. The QF meshed coil in the SKRR-S Mini Tank tank is designed to meshed design creates intimate contact with the organic cotton wick for rapid and even heating Insanely rich flavor. What else do you need for an e-cig kit? • 0.001s Insta-fire: With the most rapid, stable yet safe firing rate of 0.001s, insta-fire quick heating system brings you rich flavor and denser clouds within the very first puff. • Breathtaking Display: Open up your view with this sleek edge-to-edge 1.3inch TFT screen, a massive display which fits comfortably in the palm of your hand. • Play with comfort: Vibration-enabled buttons provide tactile feedback your expect from high-tech devices. • You can buy the LUXE Nano Mod and SKRR-S Mini Tank in BuyBest. 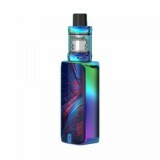 I am a big fun of Vaporesso, I have a Vaporesso Luxe kit, which is cool and have a lot smok. just buy the newest Vaporesso Luxe Nano to try, sure it won't let me down. I have bought Vaporesso Luxe kit before, it is great. 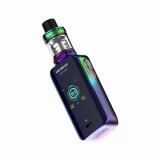 And when I saw this Vaporesso Luxe nano, I am sure it will be better than Luxe! when I receive it, I know I am right, haha, good vape! 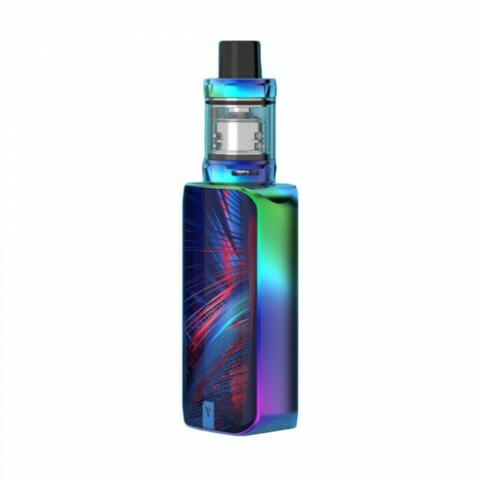 Vaporesso Luxe Nano with Very beautiful fashion, high quality made. Fast shipping, recommend. Luxe Nano Touch Screen mod has robust battery power, can last at least one week. Fabulous. The free delivery from buybest is fast. Would shop again. My first experience with BuyBest website is satisfactory. Received the Vaporesso luxury today. Everything delivered properly. A beautiful product from Vaporesso. I am very satisfied, thanks. A little bit expensive, yet very cool Luxe Nano kit. The Touch Screen is sensitive and feels great. Item recived as discribe. Very fast delivery. i like this Vaporesso Luxe Nano Kit, huge touch screen kit, easy to operate. Thanks product compliant and original. Checked and certified authentic. J'avais a doubt on the move to customs but parcel well received. Vaporesso Luxe Nano is perfect.